You must make reservations at least 5 minutes in advance of the time at Out of the Fire. Out of the Fire is committed to the investment in socially and environmentally minded pursuits. Doing good while doing well is fundamental to our work, and is manifested in our dedication to create food and an environment that supports our mission. *We cater to most food allergies. *Gluten Free options are available. We do not create these items in a designated gluten free kitchen. *All menus seen online are subject to change. Gluten-free pizzas are available upon request for an additional $2, however we do not have a dedicated gluten-free stone hearth oven. If you have a severe case of Celiac we do not recommend pizza. Any request to add toppings is gladly fulfilled, however we must charge any additional $3.00 for each extra topping including our house made roasted sauce. Thank you for your understanding. Out of the Fire is always my first choice to bring out-of-town visitors for dinner. The pizzas are inventive and delicious, and the corn salad is my perennial summer favorite. Lovely wine and all served wonderfully by Justin at the wine bar. The menu offerings were varied and enticing. We ordered two of everything so we could try as many items as possible. The starters were amazing, the greens did not disappoint. The highlight of the meal was the entree. Scallops with cashews and coconut milk pickled carrots. It was amazing and I would highly recommend it. The dessert was the most sophisticated deconstructed s’more imaginable. Highly recommend this restaurant. Out of the Fire, one of the best restaurants anywhere...a changing art gallery on their walls sets the mood, the service is professional and the food delicious. Delicious, farm fresh food. Beautifully presented. Welcome gluten free naan bread and pizza crust and other gf options which make for wonderful options. Friendly, attentive service. Really enjoyed. As usual, Out of the Fire was excellent. We had the tomato and mozzarella pizza with merguez sausage. The pizza was crispy and the sausage was abundant and particularly tasty. The service was both friendly and efficient. One of our very favorite spots in Easton. We come here regularly for dinner, if not often enough... When there's a special celebration. The welcome is warm (thanks Amy!) , the art work is interesting even before the menu arrives. Some staples endure (we always have the mussels.) Some new dishes are a symphony of taste and a very exciting gourmet experience (thanks Chef!). Waitresses are always good conversationalists and well as efficient, remembering special requests (such as more focaccia, every time.) Small selection of good wines. The desserts look delicious but we never have any appetite left! We had another wonderful dining experience. 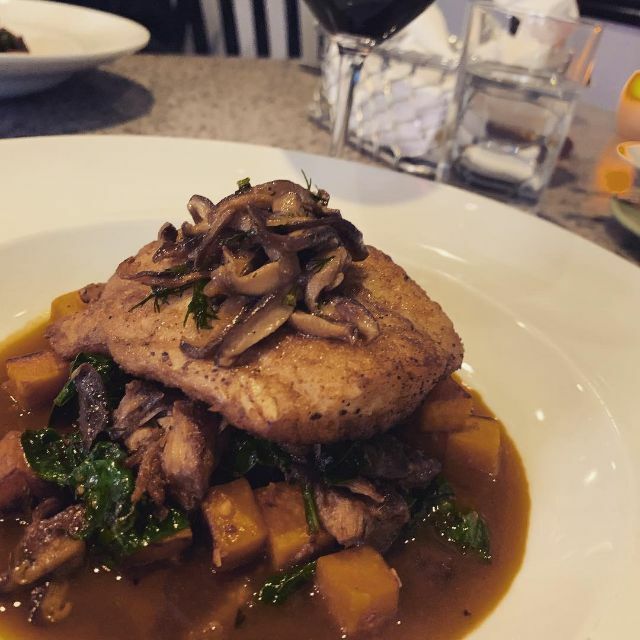 The consistent professional service and delicious food is why we are regular patrons! The chef and staff are dedicated to the finest ingredients and ultimate presentation. 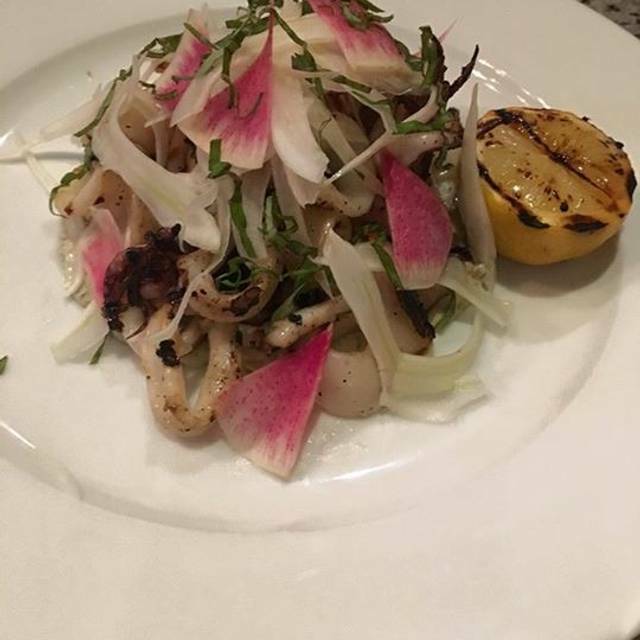 The wood fire grilled squid is a staple for us, and the rockfish entree special was incredible. The owner, Amy, is always so pleasant, welcoming, and accommodating. Love OTF! 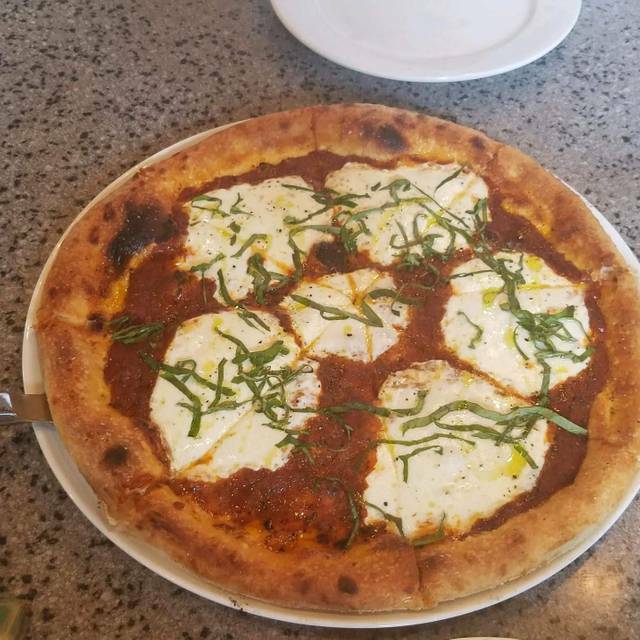 We loved everything about this restaurant: cocktails, food, service and ambiance., And, finally, a gluten-free pizza worth eating! Dinner was wonderful. The swordfish with smoked barley and wilted greens in a deeply flavored broth was excellent. I savored every bite and sopped up the last of the broth with the freshly baked foccacio. My partner's maitake mushroom pizza with feta was perfect. Wonderful crust and great melding of flavors. The decor is charming, especially the high widows with jade plants in each, like pictures in a lighted frame. Very cozy with the big flames from the pizza oven clearly visible. Already have recomended and will be returning soon. Excellent and imaginative food. The wait staff was attentive and the wine selections first rate. All three courses were delish! Seared Trout - very good! Rose Sangria, always a fav! Wonderful food, superb service, a truly terrific evening. You can never go wrong with Out of the Fire! Creative, fresh and delectable. There’s talent in the kitchen, and when owner greets, a warm one. Wish lighting was lowered...would create the same depth in atmosphere as the food does. Fabulous beginning to end! Brussel sprouts appetizer as well as beets with hazel nuts were spectacular. Mussels main course were deliciously spicy and so so tender! All under the watchful eye of Amy who is the most proficient and welcoming owner I have ever encountered. I give her 6 stars! Always a great meal and excellent service. 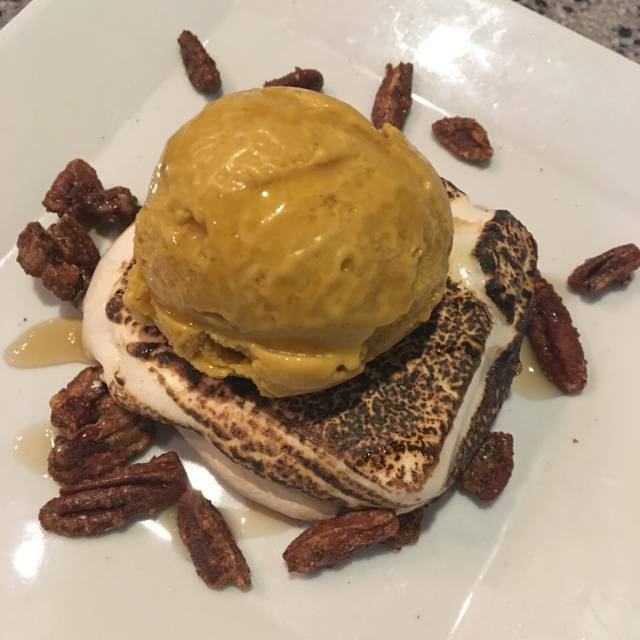 We were VERY pleasantly surprised by our experience and our meal at Out of the Fire. My wife and a do our best to eat a vegetarian diet which is often easier to do on home turf, harder when on the road. We were in Easton for an evening and used the interwebs to identify vegatarian-friendly options. I was honestly kind of shocked that the place was so thoroughly booked, even though it was Valentine's Day. I had -- mistakenly, apparently -- thought that Easton was a blue-collar little brother to the tonier St. Michaels. Out of the Fire dramatically exceeded our expectations. It's not surprise the place was covered up. We found the staff to be very friendly and appropriately attentive. 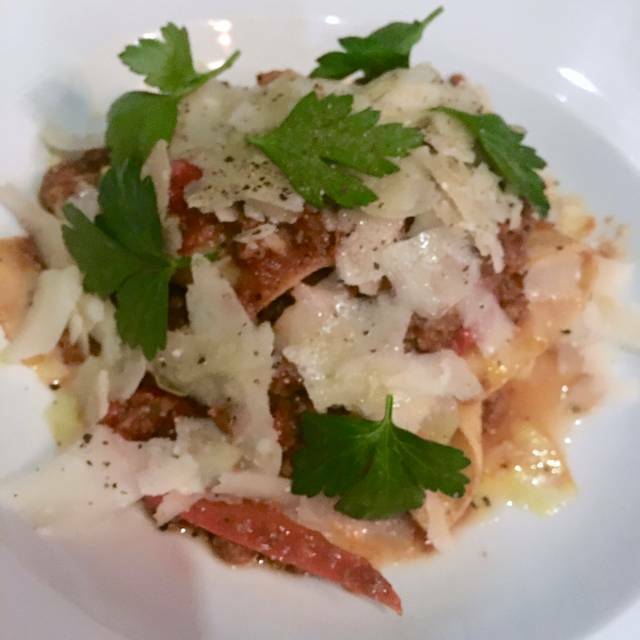 The food was terrific, and I am confident that omnivores will be equally impressed. We had a beet and apple soup and two of the salads for starters. The salads were astonishingly good...to the point where I asked our server who'd come up with them so I could pass along my compliments after the meal. For our purposes, a refrain repeated during our meal was "man, if you were at a large table and were served this food next to folks eating burgers and steaks, you'd still feel like you were not an afterthought". We always enjoy an evening at Out of the Fire. Our food was wonderful and the service was superior as usual. Experience counts! We are so happy we chose Out of the Fire to treat our friend and neighbor for her birthday! Much gratitude and appreciation! It really doesn't get any better. The whole evening with our good friends was delightful....as it always is at Out of the Fire! We enjoyed the warm olives to start that are delicious. Three of our party of four went with the special pizza of the evening...and, we devoured them! Our fourth enjoyed wonderfully prepared scallops. Throughout the evening, the service is exceptional from the moment you walk in until you depart. Innovative food using the freshest ingredients. Ample choices for vegetarians. The best organic farm to table delectable food! The wood fire oven makes the food taste amazing and look fantastic. The atmosphere is friendly and relaxed. Absolutely the best of the best always! The food always is interesting and well prepared, with great ingredients as well. They modify the menu regularly and also have daily specials. Service is well trained and it shows. The owner, Amy, is almost always there and her care and interest goes though the entire restaurant. 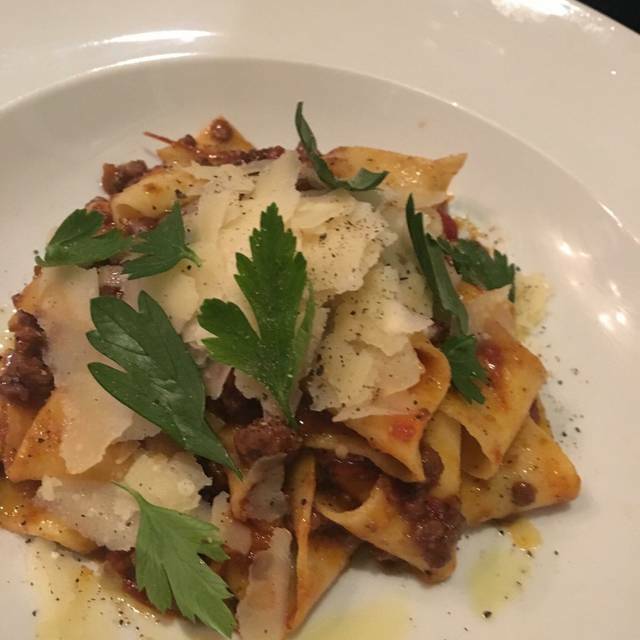 This is a very good dining experience, great, creative food and service, without pretension. There are some good and fair wine offerings as well. thoroughly enjoyed the inventive food and personal service. Special of rockfish and mussels in a coconut lime miso broth was perfect. 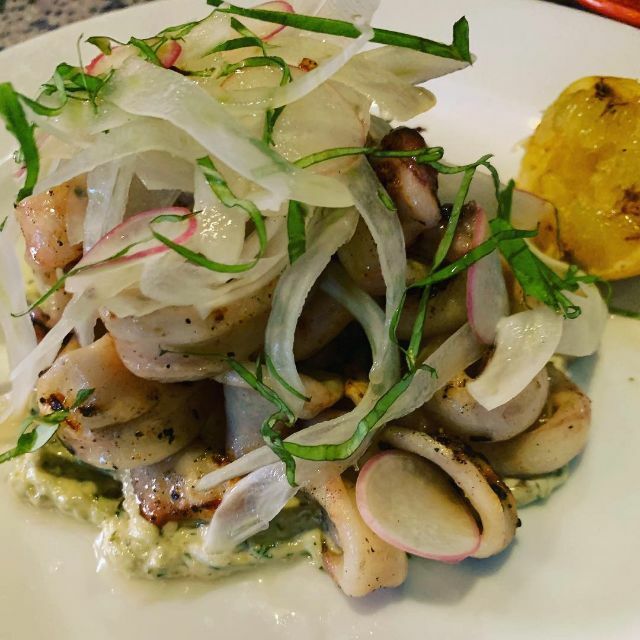 Grilled squid is always great here. Heather is both the consummate professional and friend. 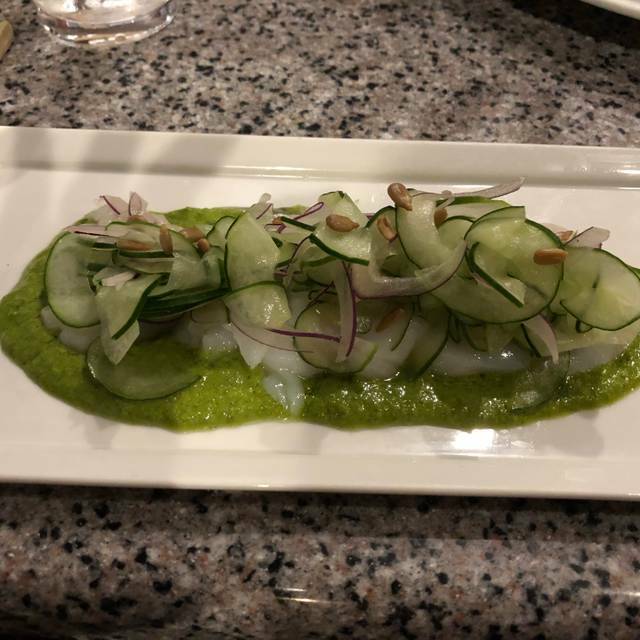 Creative dishes are always on the menu. Fresh ingredients and interesting specials. Heather was our server and she was A+!! Our food and atmosphere were wonderful! Excellent - as always. My go to for great food. None of the “special offerings” wines were available. What came in place we’re just okay. Food is okay. Nice people, good service. Fabulous. Great food, wonderful cozy spot. Always busy, so make a reservation. 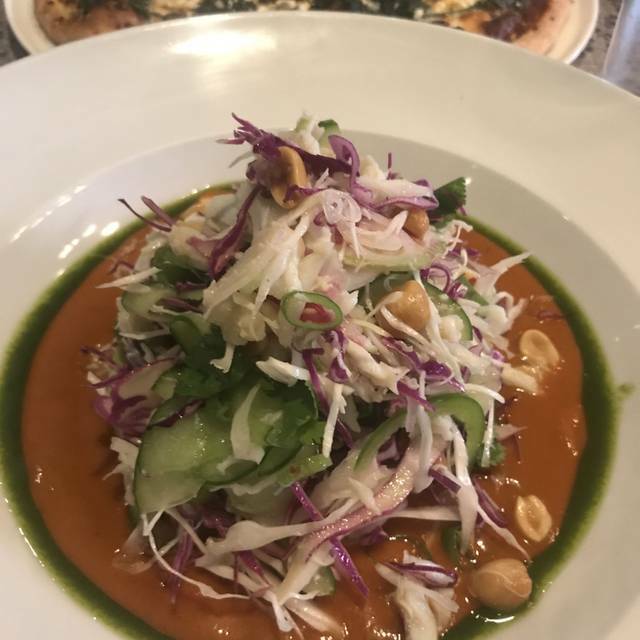 Food and presentation are always excellent and a bit different than your typical Eastern Shore fare; there may be ingredients listed that are unfamiliar to you but the staff explains well, and quantities are not huge but are satisfying. Friendly, professional staff who provide relatively fast service even when busy. The owner of Out of the Fire is almost always on site and keeps everything running smoothly. If you sit at the bar, you can watch a lot of the food prep and the pizza ovens - especially in winter, OOTF is a welcoming environment. The best local and organic food! The owner is always present and enthusiastic. The creative culinary team served the most delectable dishes with superb presentation. The wood fire oven gives all the dishes an exotic smokey flavor. The open kitchen and bar seating gives a great hip vibe. This is a extraordinary dining experience every time! The staff is always so welcoming and accommodating! The atmosphere is warm and comfortable. The food is always delicious!!! Very creative menu and daily specials. We love dining at Out of the Fire. It’s a good choice for any occasion!